Karnataka assembly elections: B Sriramulu is contesting from two seats, Badami and Molakalmuru near Ballari. Chief Minister Siddaramaiah is contesting from Badami. Karnataka assembly election: B Sriramulu contested against Chief Minister Siddaramaiah. Up against Chief Minister Siddaramaiah at Karnataka's Badami constituency, BJP's B Sriramulu started the day with a round of prayer. Counting of votes for the assembly election has started. In pictures taken early this morning, the candidate is seen sitting in a puja room, clad in saffron, an elaborate assortment of flowers and other offerings before him. Like Mr Siddaramaiah, Mr Sriramulu is contesting from a second constituency Molakalmuru near Ballari. But the BJP's hopes of beating the Chief Minister rest on him and he was among the few candidates who were given a chopper to hop constituencies during the campaign. 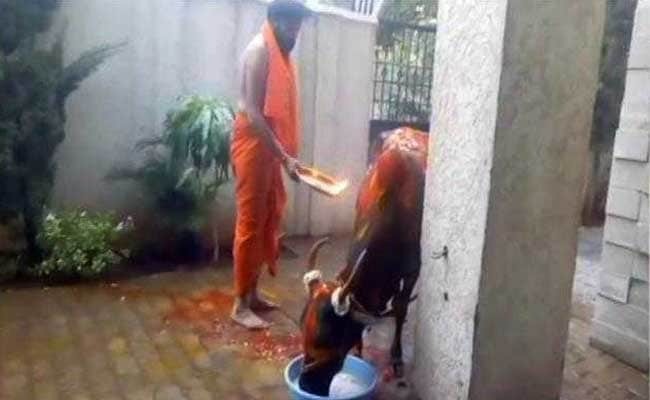 On Saturday, the day of election, Mr Sriramulu was photographed while performing "gau puja (cow worship)" before casting his vote. That ritual concluded his puja session today as well. 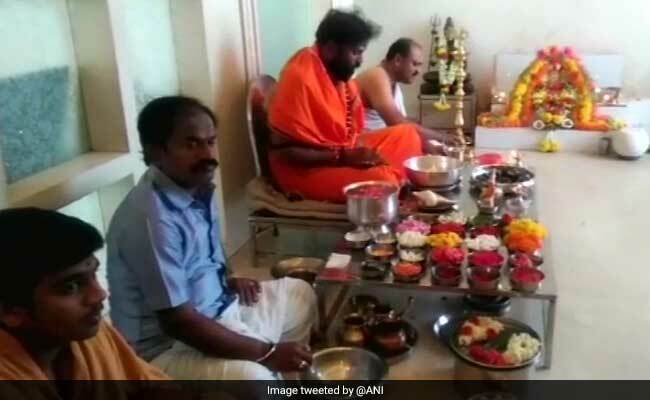 B Sriramulu performing Gau Puja ahead of counting of votes. The 46-year-old -- known to be extremely close to mining baron Reddy brothers and one of most prominent candidates in this election -- has been eyeing the post of Mr Yeddyurappa's deputy if the party comes to power. Even party chief Amit Shah has not ruled out his claim that he would be appointed after the election results are declared. Mr Sriramulu's prospective boss, Mr Yeddyurappa, has already announced a detailed itinerary that includes the date for his oath ceremony. He has claimed the BJP will win 125-130 seats. Just two days before Karnataka voted, the Congress released a video, claiming it shows Mr Sriramulu negotiating a bribe with the son-in-law of a former Supreme Court judge for a favourable verdict in an illegal mining case involving the Reddy brothers. The BJP has dismissed it as a fake.